If your family enjoys themed activities in the lead up to the yuletide season, here is an event you should add to your festive calendar; The Snowman at Melbourne Recital Centre. The enchanting story The Snowman, is based on the charming children's picture book by English author Raymond Briggs, first published in 1978. The story follows a young boy, James, who wakes up one winter morning to see a blanket of snow with which he uses as a canvas to create a snowman. When James goes to bed, he can't sleep, so ventures out of his bedroom to check on his snow creation...only to find The Snowman has magically come to life! The beautiful tale sees James and The Snowman form a friendship whilst taking an adventurous journey across land and sea. The famed theme song 'walking in the air' from the animated 1982 short film based on the book became recognised around the world. Since then, families all over the world have watched The Snowman in anticipation of the festivities of Christmas. 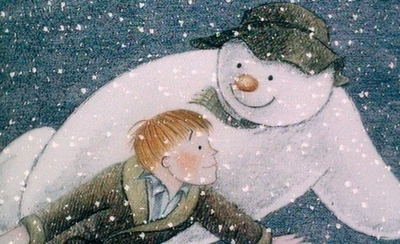 The Snowman at Melbourne Recital Centre, sees the delightful 1982 short film projected onto the big screen. This time however, you and your family will enjoy your favourite Christmas movie accompanied by a live musical orchestra. Treat your family this Christmas, to a one-off special screening of The Snowman at Melbourne Recital Centre on Saturday 9 December at 10am & 11:30am, duration time 50 minutes (no interval).